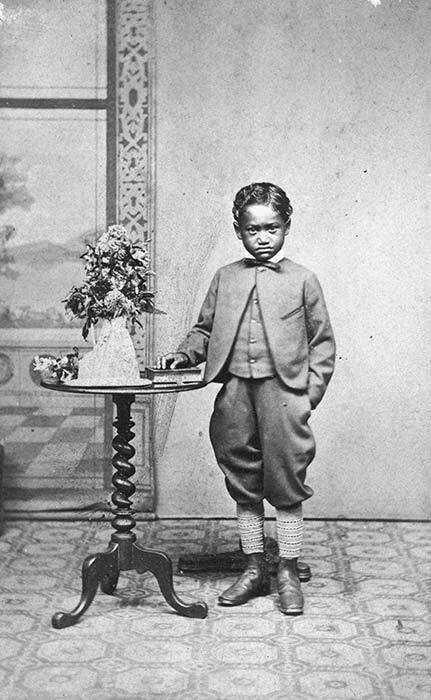 Ngātau Omahuru, the son of Te Karere and Hinewai Omahuru of Ngā Ruahine in Taranaki, was kidnapped by colonial forces in 1868 during the New Zealand wars, at the age of six. He spent three years in a Wellington hostel before he came to the attention of Premier William Fox and his wife Sarah. Though Ngātau's parents were still alive, the Foxes informally adopted the boy and renamed him William Fox. He became a law clerk and travelled back to Taranaki in 1878 on legal business, where he was reunited with his family and later settled again. He continued to remember Sarah Fox with great affection. Kia ora Pare, thank you for your suggestion. I have updated the order of their names. Thanks. Kia ora, perhaps it could be made clearer which parent is which. I met someone recently who got the impression that Hinewai was the Father, because her name was mentioned first in this article.